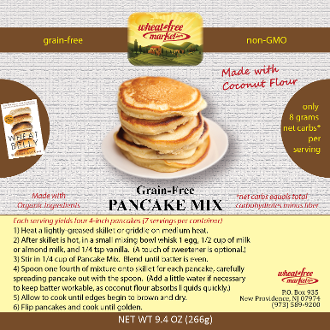 Grain-Free breakfast won't be the same anymore! Crack an egg and add some milk or almond milk and you'll soon be off to the griddle. This resealable package makes seven servings of FOUR 4-inch pancakes (that's 28 in total), and has just 8 net carb grams per serving.